*Assembled in the USA from domestic and imported components. 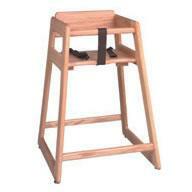 This wooden booster seat is made of solid 3/4" oak with one-piece frame construction. Radius edges keep food from collecting on this restaurant booster seat. Each wooden booster seat is stackable to save space in your restaurant or other food service establishment. For safety and stackability, each wooden booster seat also has anti-skid rubber pads. These wooden booster seats are available with or without safety straps. 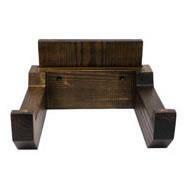 Choose from four different finishes with this wooden restaurant booster seat. Dimensions: Depth: 12" (305 mm), Height: 11" (279 mm), Width: 12" (305 mm). Hardwood infant carrier holder with radius edges and corners. Washable webbing. Folds for easy storage. 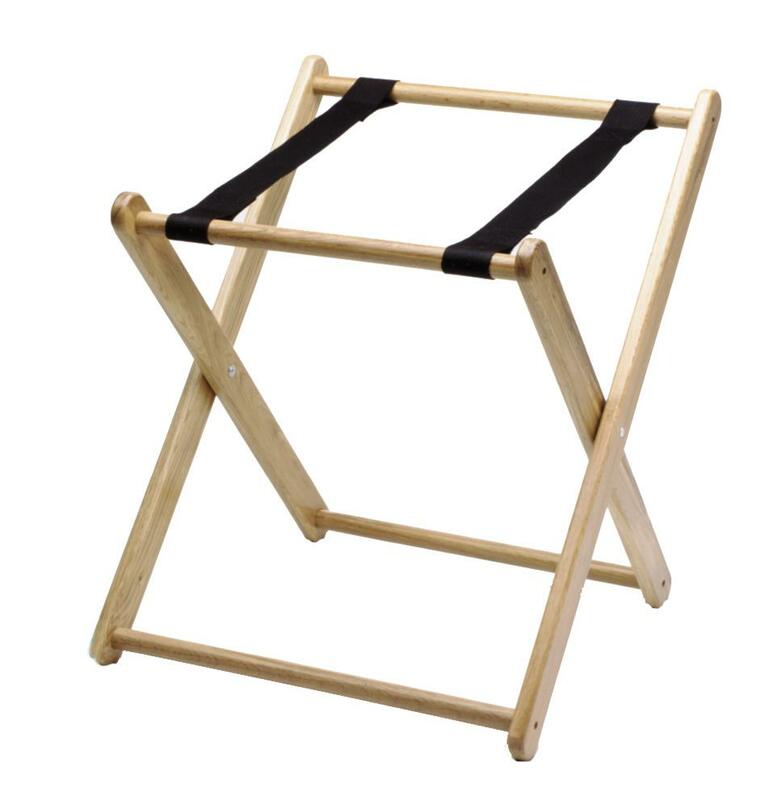 Carrier stand available in two finishes. Hardwood restaurant tray stands with radius edges and corners. 1/4" rivet construction on these restaurant tray stands supports maximum weight. 2-1/4" (57 mm) washable black webbing. Tray stands fold up for easy storage. Dimension: Depth: 17" (432 mm), Width: 16-1/2" (419 mm), Tray stands available 30" (762 mm) or 38" (965 mm) tall. Restaurant tray stands allow those in the food service industry to efficiently serve many dishes at once.